Hi everyone! This is GiGi from The Cricut Bug and I am sharing this Llama Post It Note gift set I made using my Jaded Blossom supplies. 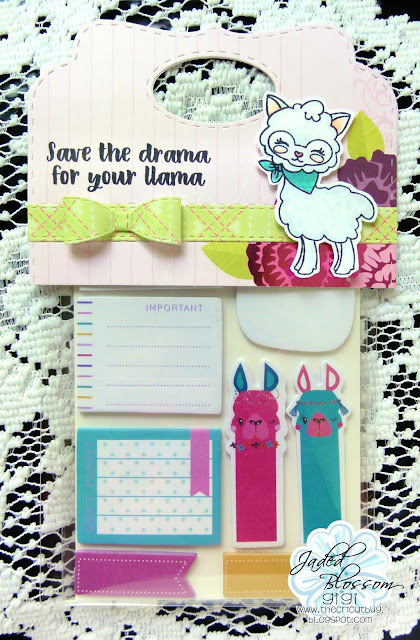 I started this project with an A2 Card Sleeve that I filled with Llama themed sticky notes. I created the topper using the Candy Caddy Die and glued it to the top of the bag. 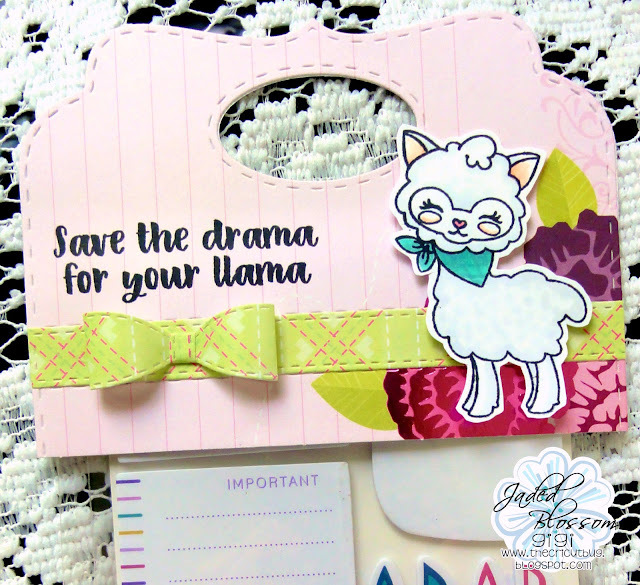 I stamped the sentiment and llama from the Llama Tell You stamp set and colored her with Copic markers. To finish, I added a strip cut with the Border Dies and the bow cut with the Bow Dies. This is just to adorable!! Looove!!! Great idea!! Adorable topper!! !